Last night I painted my nails using Gelish by Nail Harmony. It is a 3 week manicure system that you set under an LED lamp. I love Gelish as I used to always use acrylics and they really damaged my nails. Gelish for me is a happy in between, it doesn't chip like normal nail polish and doesn't ruin my nails like acrylic. For me they last around 4 weeks, but I am SUPER careful with them. I sometimes love to mix things up a bit and use something different. I used Gelish nail polishes then mixed up some loose glitter and created something different for my two end fingers. This is the Sugar N'spice & everything Nice, from the Candy Land range in Gelish. It's a bubblegum pink and it's one of my favourite shades from the range (sorry I think I over enhanced my picture as the colour window on the bottle looks nothing like the actual colour). I used that to paint my 3 fingers as seen in the first photo above. 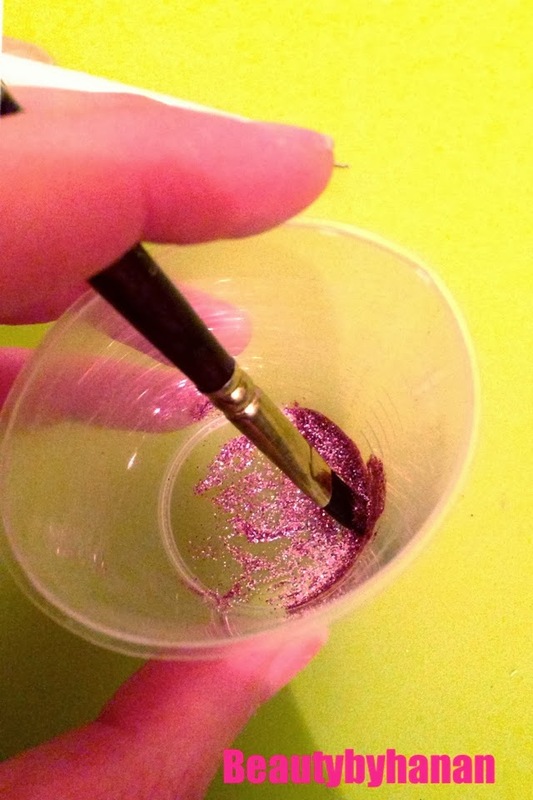 I then got Loose glitter, I have a selection of 24 glitters from WHSmith. 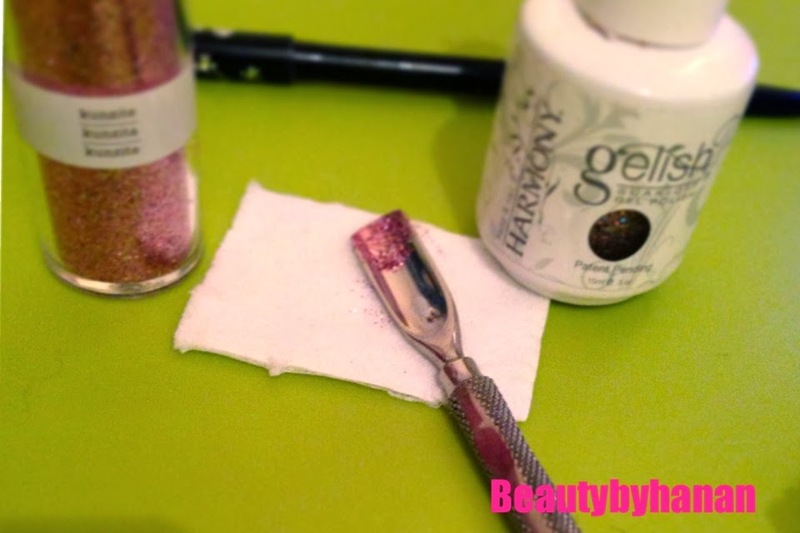 I used the glitter colour kunzite and Gelish in June Bride which is a pink glitter but is not so glittery, thats why I added more glitter to it. Then I mixed Gelish June Bride and the loose glitter together to form a super glittery polish. I am enjoying having this shade on my nails at the mo. 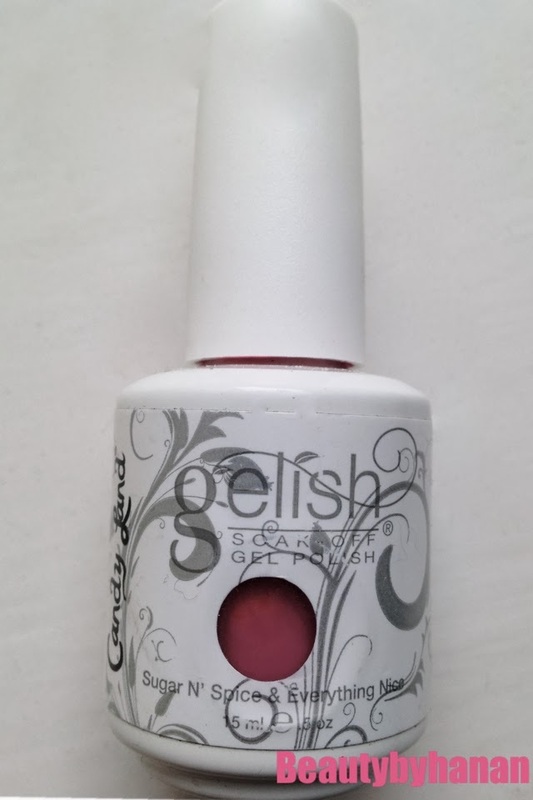 Do any of you use Gelish and whats your favourite?